Maytag is all business when it comes to getting your largest loads evenly dried. You can count on this 7.0 cu. ft. Bravos® dryer to handle any demanding job, and then keep everything ready to wear with features like the Wrinkle Control option. 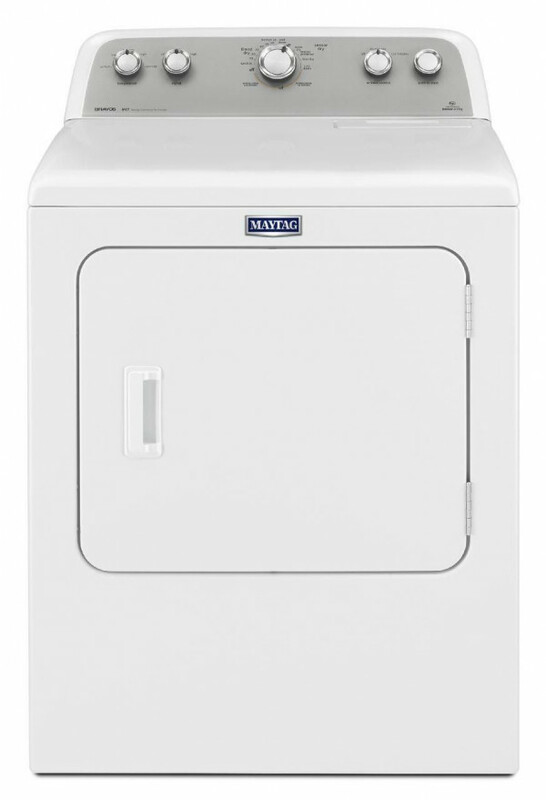 If that's not enough, it's packed with sturdy Maytag® Commercial Technology and backed with a 10-year limited parts warranty on the drum and motor for the first time ever on a traditional dryer. The heavy-duty motor adds high-torque action with optimized airflow, while the IntelliDry® sensor keeps an eye on moisture. Plus, the Sanitize cycle is great for those items you can't put through the washer. Best of all, this dryer is designed, engineered and assembled in the U.S.A. with real American pride.